Our family was blessed to spend last week away from home, enjoying each other and nature. But even before we headed back home, I felt the worries of life begin to creep into my mind and heart, trying to steal joy-filled moments right out from under me. I did not want my joy-filled moments self-destroyed or Satan-destroyed by worry! I’m guessing you don’t either. If we have no money, we worry about how and where to get it. If we have money, we worry about how and where to use it. If we have more than enough money, we worry about how to get more money. And that’s only from the financial aspect. The same feeling of anxiousness can overtake us regarding our relationships, daily tasks, responsibilities and every aspect of life. Every person on the planet has different worries. My personal definition of “worry” is to continually think disturbing thoughts. When we fix our mind on those thoughts, worry is the process of allowing them to permeate our minds and command our behaviors. We begin to act out of fear instead of faith. We begin to dwell on problems over principles. How do we really begin to stop the worrying game before it begins? Today I wanted to share these 7 ways to curb constant worry. When worried thoughts start to sabotage our minds, we must be prepared to send them packing. Check out these ideas for ways to win over worry. 1. Catch the worried thought and call it for what it is. 2. Give the thought over to God in prayer. When I catch myself in a worried thought, I am training my prayer reflexes to take over the worry. To do this, I simply restructure the thought into a prayer and lift it up to God. 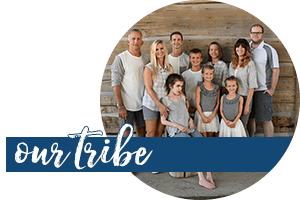 For example, this week the physical needs of my children have been high and with the start of a new school year quickly approaching, it’s easy to let my mind race with the demands. A thought like “How are we going to afford 5 new pairs of shoes at once?” is changed to “Lord, I know you’ve provided in the past and will continue to provide in the future. Help me wisely choose the time and place to shop for shoes.” When I haven’t been able to capture the thought and immediately lift it in prayer, then I pray a prayer for when you feel worried. 3. Ask God for direction, wisdom and guidance in direct connection to the issue causing worry and then, brainstorm. So after praying for victory over the worry, asking God to help me understand how to handle the situation or issue, I will often grab a pen and paper. I firmly believe that God wants us to use the tools and resources he has given us. For example, if 5 new pairs of shoes are my worry, I’ll estimate how much the shoes are going to cost and write it down. I’ll ask God for guidance and wisdom and begin to write out a few ideas on ways I might be able to earn the money for the shoes or manage funds differently. There have been times in my life when God has answered my prayer through an email with a freelance writing contract offer. I knew that I was supposed to agree to the work because it was an exact answer to a prayer need I had previously been worrying about. 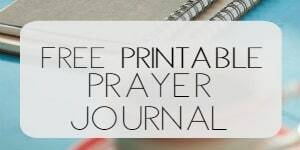 Whatever the need that is clouding my mind with worry, I often write it down in my prayer journal as an act of giving it to God. 4. Combat worry with specific truths from God’s Word. Many of us know that we have to tackle the lies of Satan with the truth of God’s Word. But often the problem is that we don’t know the Scriptures to apply to specific issues. That’s why I love to study the Bible intentionally on certain themes and topics, like we do each month for the Bible reading challenge. Imagine how effective a month of reading Bible passages fighting worry will be! 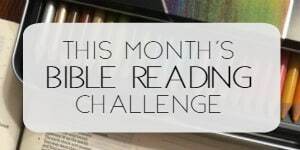 Check out the Win Over Worry Bible reading challenge. 5. Use visual Bible Verse cards in strategic settings. Do you have a tendency to worry while you’re getting ready in the mornings? Post one of these Win Over Worry Bible Memory Verse Cards on the mirror! Does anxiety take over when you work on an overwhelming task? Post a verse in your work cubicle, laundry room, or garage. 6. Recognize the need to trust God with worries over both the past and the future. We can’t change the past, so worrying over it is useless. And we can’t control the future; only God can do that. So worry is the absence of trusting God. When we believe that God is who he says he is and that he will do what he says he will do, when we believe that his Word is true and he always keeps his promises, then we can choose to win over worry because Jesus has already won the battle. Rather than suffer through worry, we can surrender our worry to the Master! 7. Be sure to rest appropriately, whether physical, emotional, mental or spiritual. Hectic schedules and busy lifestyles wear us down, don’t they? I’ve discovered that I’m less prone to worry if I’m well-rested. When I’ve not been taking good care of myself physically, failing to drink enough water, or staying up too late, then worry rears its ugly head much faster because I’m already drained. Rest is part of God’s divine design for the planet and participating in it brings restoration and clarity. 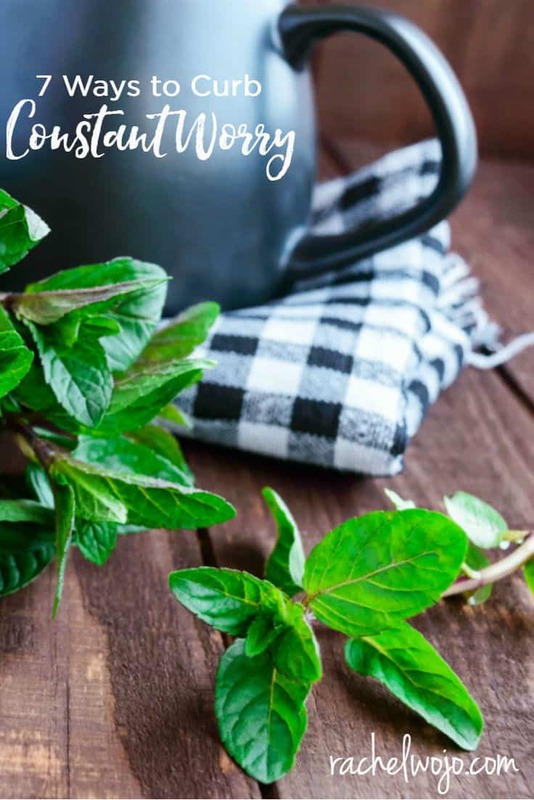 Whether any of these ways to curb constant worry are new ideas to you or reminders of what you already know, use this treasury of tips to take preventative action, stop the issue in its tracks and conquer worry in Jesus’ name! Which tip is the most helpful to you? I’d love to hear from you today! Good morning Rachel, I receive all your emails with very valuable messages and teaching. I wanted to let you know that GOD has spoken to me through this of “WORRY”. I try not to worry and learned to leave things in God’s hands, but this time it has been very hard and a strong struggle for me. Let me explain, I’m a single parent with 2 adult children and have had great victories in JESUS name! Now that I’m in my early fifties, I accomplished a long dream of obtaining a bachelor degree in psychology, through the grace of God. I thought i can obtain a job as a school counselor, but i was told I need a master and a license to become one. I can not afford another school loan. I applied for help through my job, but was denied. I was told I can get help if i attend the college of their choice, sounds like a plan right? So why am i worried about it? Isn’t it amazing how God gives us what we need when we need it? The Lord keeps reminding me he is more than sufficient for our needs. The 7th way was very beneficial. Thanks Rachel. Truly blessed by entire post. Bless you. Jean Marie. God bless you for sharing this truths. Thank you for your ministry Rachel. There’s always something to prick my heart and reminders of God’s Will for our lives. Each of the 7 points spoke directly to me during a transitional time in my life. Worry is not of God, and I’m learning to fully cast my cares to God, who is more adequately equipped than I to handle my worries. Continue to grow in God’s grace.